Next Tuesday the Obama Administration will release its annual budget request which will lay out the Presidentâ€™s vision for the Fiscal Year (FY) 2015 budget. Typically, this request is released on the first Monday of February, but the White House chose to wait until after Congressional appropriators finalized the recent omnibus spending package for FY 2014 before crafting the request. That spending bill funds the federal government through the end of this September and a new FY 2015 budget will be required starting on October 1stâ€” the first day of the federal governmentâ€™s next fiscal year. The Presidentâ€™s budget request is a highly anticipated document as it formally begins the federal budget and appropriations process for FY 2015 which is taken up later by both Chambers of Congress. Ahead of that process Senator Patty Murray (D-WA), Chairwoman of the Senate Budget Committee, sent a memo to Senate Democrats outlining the extent of federal deficit reduction since 2010 arguing that there are other deficits â€œlike those in job growth, innovation, infrastructure, and educationâ€ which Congress has failed to address with the same level of zealousness. The memo outlines $3.3 trillion worth of deficit reduction over the past several years and points out that almost half of those reductions have been through spending cuts to the discretionary portion of the federal budget. Specifically, the memo illustrates the disproportionate amount of spending cuts to the roughly 16 percent of the federal budget, known as non-defense discretionary (NDD), which fund investments in education, infrastructure, and research among other important national priorities. As the memo lays out, it is important â€œto tackle our long-term fiscal challenges using a balanced and responsible approach.â€ While federal deficits and the national debt are a genuine challenge to the nationâ€™s long-term financial wellbeing, addressing these concerns through systematic disinvestment in our nationâ€™s education system and other vital NDD programs is not the solution. 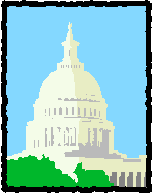 Although spending caps have already been established for FY 2015 and are slightly higher than FY 2014, decisions for how funds will be allocated to the various departments, agencies and programs must still be made in the coming year. As Congress and the White house begin these negotiations, it will be critical to more adequately fund this portion of the federal budget and support programsâ€” like Career Technical Educationâ€” that strengthen our nationâ€™s economy and ensure the global competitiveness of its students and workforce. This entry was posted on Friday, February 28th, 2014 at 2:43 pm	and is filed under News, Public Policy. You can follow any responses to this entry through the RSS 2.0 feed. Both comments and pings are currently closed.